A metallic map of London in navy. 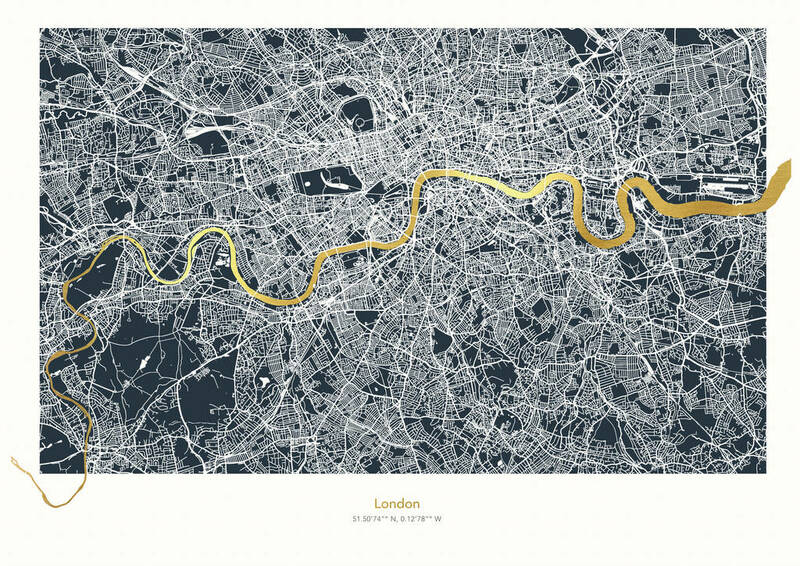 A beautifully detailed map of the Thames that commands attention! Stunning maps of London. 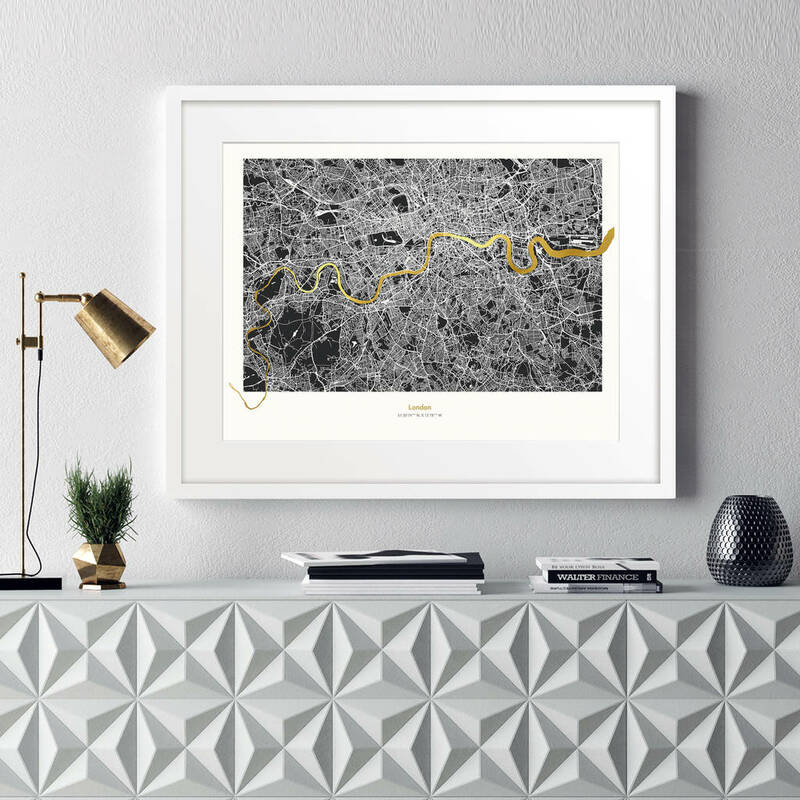 Landscape prints with metallic foil detailing. 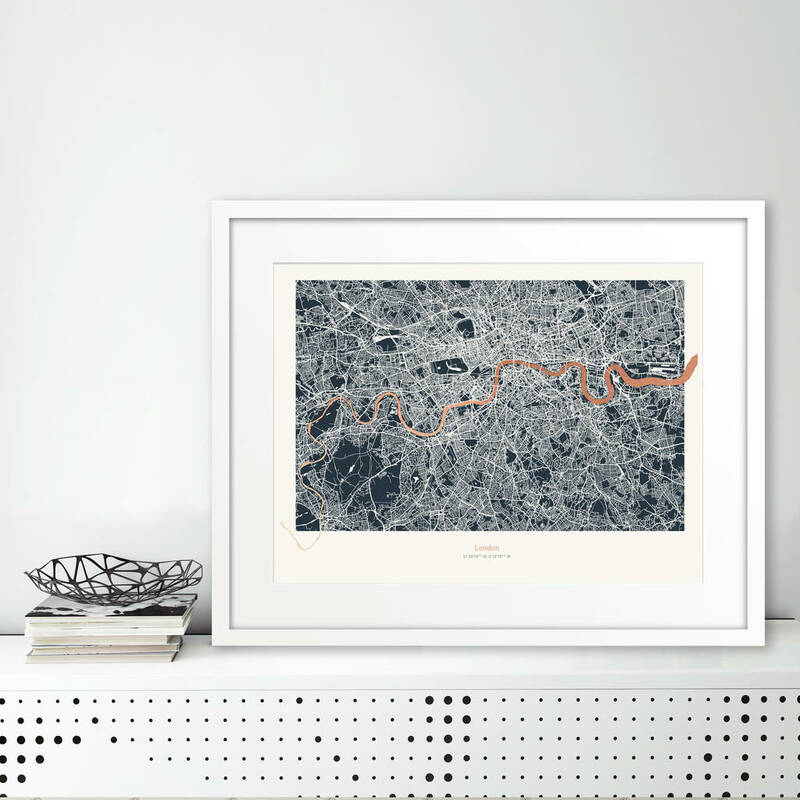 A stunning statement piece for any room! 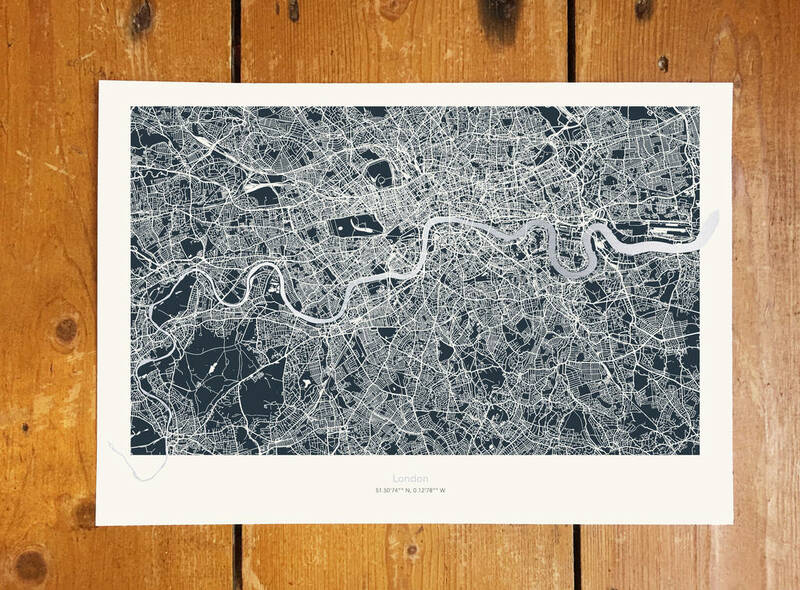 These unique prints make a great housewarming gift for anyone moving to the big smoke! 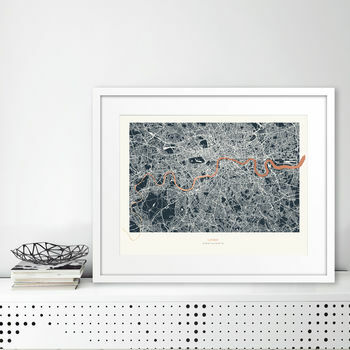 A detailed and accurate print of London, spend hours looking for your favourite London haunts!